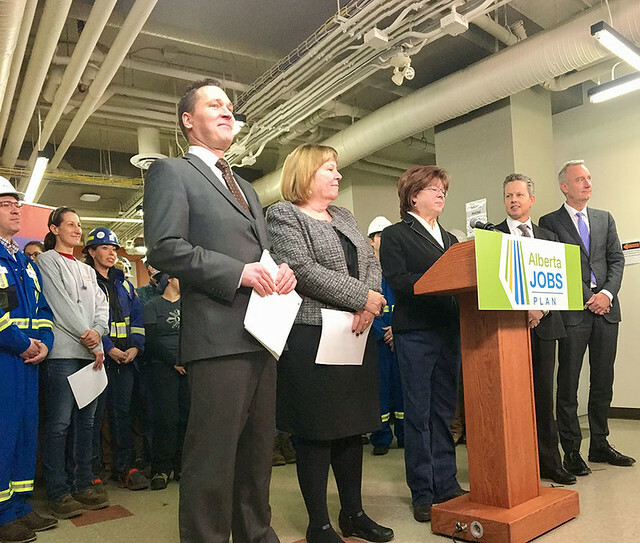 Two new petrochemical projects approved by the provincial government will add jobs, diversify the energy industry and create lasting benefits for Alberta’s economy. The economy will get a substantial boost from two projects that would, for the first time in Alberta, process propane extracted from natural gas resources into value-added plastics products that people all over the world use every day. The projects have been approved to receive royalty credits under Alberta’s Petrochemicals Diversification Program, which was announced and began receiving applications in February 2016. The first project is a joint venture between Pembina Pipeline Corporation and Petrochemical Industries Company (PIC), which has been approved to receive up to $300 million in royalty credits to build an integrated propylene and polypropylene facility in Alberta’s Sturgeon County. The project is expected to cost from $3.8 billion to $4.2 billion to build. During construction of the Pembina/PIC facility, there would be an average of 2,000 to 2,500 workers on site, with more than 150 full-time operations and head office jobs upon completion. The facility would process about 22,000 barrels per day of propane into polypropylene, the plastic material used in the manufacturing of a variety of products such as automobile parts, containers and Canadian bank notes. Construction is expected to start in 2019, with the facility operating by 2021. The second project, by Inter Pipeline, has been approved to receive up to $200 million in royalty credits to build a $1.85-billion facility in Alberta’s Strathcona County. At the peak of the three year construction phase 2,000 full-time equivalent jobs would be created. About 1,600 of those would be at the site and the rest would be in fabrication or module shops and engineering firms. An additional 95 full-time operations positions would be created upon project startup. The Inter Pipeline facility would process about 22,000 barrels per day of propane into propylene, a feedstock for the production of polypropylene and other derivatives. Construction is expected to start in 2017, with the facility operating in 2021. The Petrochemicals Diversification Program was created to encourage companies to invest in the development of new Alberta petrochemical facilities by providing royalty credits up to $500 million. Under the program, royalty credits are only provided after construction is completed and a facility is operating. While there is no plan currently to extend the Petrochemical Diversification Program, the government is looking to build on the interest this program has generated and explore other investment opportunities with petrochemicals that will benefit Albertans.